Simple but fun. It is with these words that people often describe their dream destination. They look for qualities in destinations suggested by friends or other sources but often ended not finding them. We’re often unaware that it is what you take with you to a place, and not what you find at your destination that makes travel appealing. Yes, we all know about these spots, but this vacation became memorable because of the people I went along with. Summer is finally commencing, and before we bid goodbye to the summer sun, we head to the southern part of Negros Oriental to see dolphins and whales playing in an open sea: Bais City. 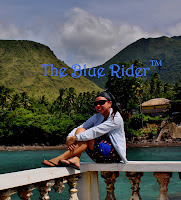 A third class city in the province of Negros Oriental and located 45 kilometers from the provincial Capital, Dumaguete. This getaway has been planned a month ahead to have ample time of preparation. Originally set to go out with highschool friends, but I ended up inviting external friends to materialize the trip. On a Friday morning of May 30th, I took the earliest flight bound for Bacolod and will head south. It was a beautiful Friday morning up in the air. Spent the night in Binalbagan with friends before heading to my first destination the day after. It has been more than 24 hours that I am wide awake but this vacation keeps me alert and most of all excited. We left Binalbagan past 4 in the morning and reached Bais City around 7. The trip could have been faster if we didn't have to make endless stop over. Our guide met us at the City proper and take us to Capiñahan port for our Bay Cruise. After everything has been set up, off we go to start our tour.The tour group will have an onboard dolphin spotter. Everyone involved in tours, from the boatman to the spotter, has undergone training and activities and follow strict rules. Whales and dolphins usually feed during early hours of the morning, so it is ideal to start cruising as early as 7 in the morning. Out of 23 species of marine mammals documented to have been sighted in Philippine waters, 9 have been sighted in Bais Bay-Tañon Strait area, acknowledged to have one of the biggest concentrations of cetaceans in the world. The flat calm water of the strait makes it a suitable breeding and feeding ground for whales and dolphins. We were cruising the waters for more than 2 hours before we got a glimpse of the dolphins from afar. This wasn't the first time I saw dolphins, but it felt different this time. Seeing them playing in an open water and not in a pool makes it more appealing. Watching them freely playing, so graceful and lovely, it was heavenly. I should say, the feeling is awesome. Boats are also not allowed to speed up, rather they keep a steady slow pace. to avoid injuring the dolphins swimming beside and under it. Also, we are not allowed to feed them. As much as I wanted to jump and swim with them to tick one item in my bucket list but the guide said we can’t. They will be fined. I just settled sitting at the edge of the boat and take as many memories of the dolphins as I can. After the dolphin watching, we went to Manjuyod Sandbar to enjoy the clear water. The sandbar is a 7-kilometer stretch of whitesand perfect for Swimming, Sunbathing and Snorkeling to top some of the water activities you can do. Since the water started to rise, we were not able to see the sandbar, floating wooden cottages welcomed us. The cottages can be rented for Php 3,5000 – Php 4,000 a night. Nevertheless, the crystal clear water completed the experience. Thank you! I will have the number updated.